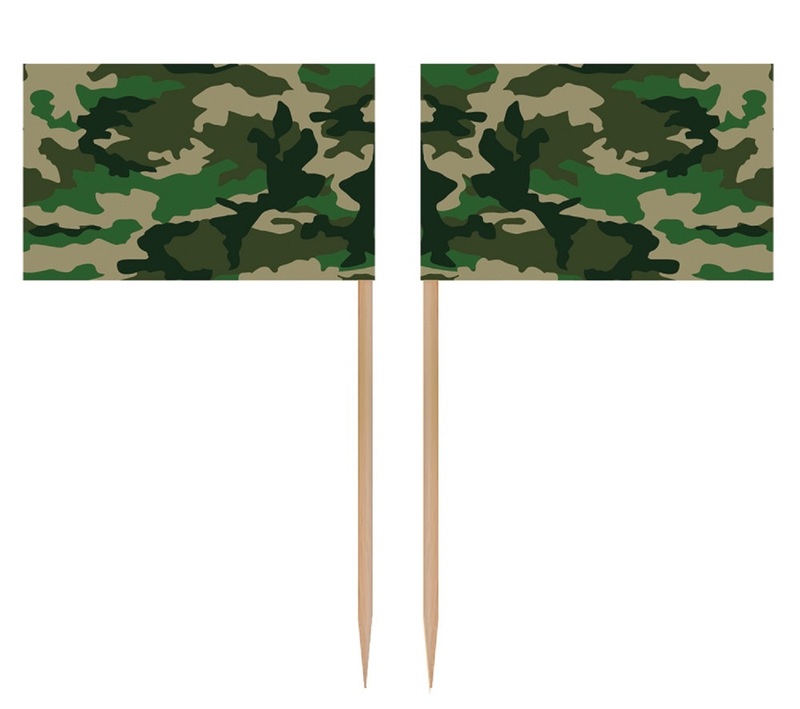 Camouflage / Military / Army Greens Party Supplies. 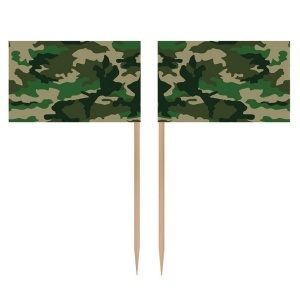 Camouflage Paper Flag Cake Picks/Toothpicks. 3.5cm x 2.5cm Flag on Toothpick.